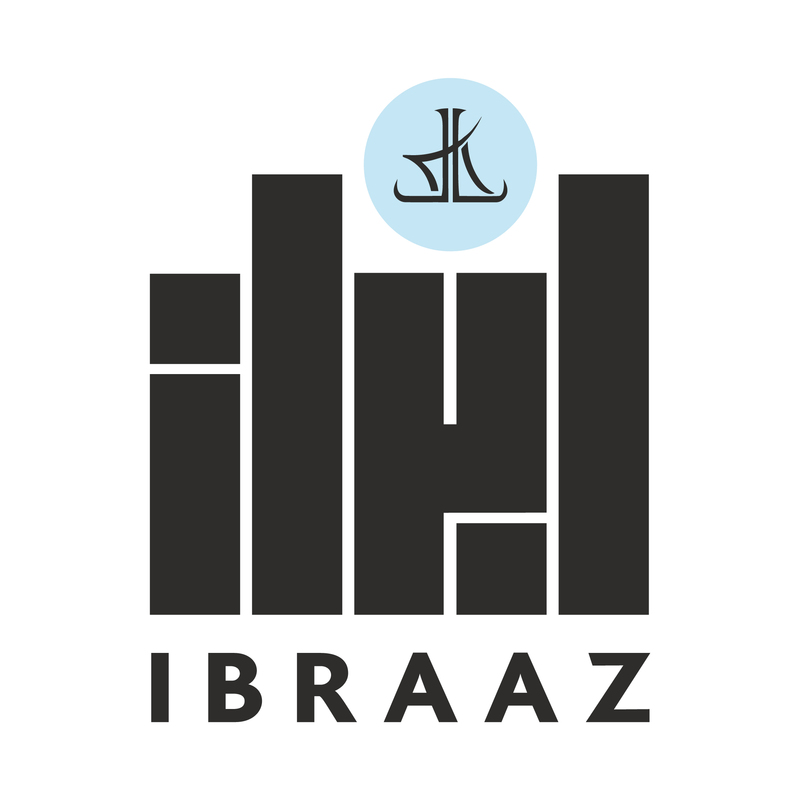 Initiated by the Kamel Lazaar Foundation in 2011, Ibraaz is the leading critical forum on visual culture in North Africa and the Middle East. It publishes an annual online platform – consisting of essays, interviews, artists' projects, and platform responses – that focuses on research questions conceived through a network of editorial contributors based in the Middle East and beyond. Our key editorial aim is to publish, alongside work by internationally renowned writers, academics, curators, activists, and filmmakers, emerging writers and artists, and we have published over 400 original contributions since launching. Ibraaz banner. Image: Michael Rakowitz, Detail of The Breakup, 2012, original Sgt.Pepper's Lonely Hearts Club Band album cover (1967) magazine color printouts, 12 x 12 inches, 30.5 x 30.5 cm. Courtesy the artist and Lombard Freid Gallery. Apart from organizing critical debates and discussions within the region, Ibraaz also publishes a series of books under the 'Visual Culture in the Middle East' title. To date, these have included Future Imperfect: Contemporary Art Practices and Cultural Institutions in the Middle East (Sternberg Press, 2016); Dissonant Archives: Contemporary Visual Culture and Contested Narratives in the Middle East (I.B. Tauris, 2015); and Uncommon Grounds: New Media and Critical Practices in North Africa and the Middle East (I.B. Tauris, 2014). Two further volumes are in production for 2018 and 2019 respectively. Ibraaz banner. Image: Election Day, Tunis, 23 October 2011. Courtesy and © Lina Lazaar / Ibraaz. Ibraaz banner. Image: Slavs and Tatars, detail of Wheat Mollah, 2011, wheat, cotton, brick, with wood, brass and glass case, 45 x 145 x 45 cm. Courtesy of the artists. The third volume of our Contemporary Visual Culture in the Middle East series critically examines the role played by cultural institutions in producing present-day and future contexts for the production, dissemination and reception of contemporary art in the Middle East and North Africa. It offers critical contexts for a discussion that has become increasingly urgent in recent years – the role of culture in a time of conflict and globalization – and an in-depth critique of the historical state of cultural institutions in an age of political upheaval, social unrest, exuberant cultural activity, ascendant neoliberal forms of privatization, social activism, and regional uncertainty. Dissonant Archives is the second volume in the Contemporary Visual Culture in the Middle East series produced by Ibraaz. It is the first book to consider the various ways in which contemporary artists from North Africa and the Middle East utilize and disrupt the function of the archive and, in so doing, highlight a systemic and perhaps irrevocable crisis in institutional and state-ordained archiving across the region. Featuring writing, interviews and original artwork by internationally renowned academics, curators, activists, filmmakers and artists, including Emily Jacir, Walid Raad, Jananne Al-Ani, Basel Abbas and Ruanne Abou-Rahme, Mariam Ghani, Zineb Sedira, and Akram Zaatari, Dissonant Archives includes contributions from Lawrence Abu Hamdan, John Akomfrah, Meriç Algün Ringborg, Héla Ammar, Burak Arıkan, Ariella Azoulay, Vahap Avşar, Sussan Babaie, Alessandro Balteo Yazbeck, Timothy P.A Cooper, Joshua Craze, Laura Cugusi, Ania Dabrowska, Nick Denes, Chad Elias, Media Farzin, Gulf Labor, Tom Holert, Adelita Husni-Bey, Maryam Jafri, Guy Mannes-Abbott, Amina Menia, Shaheen Merali, Naeem Mohaiemen, Mariam Motamedi Fraser, Pad.ma, Lucie Ryzova, Lucien Samaha, Rona Sela and Laila Shereen Sakr (VJ Um Amel). In this groundbreaking book, a range of internationally renowned and emerging academics, writers, artists, curators, activists and filmmakers critically reflect on the ways in which visual culture has appropriated and developed new media across North Africa and the Middle East. Examining the opportunities presented by the real-time generation of new, relatively unregulated content online, Uncommon Grounds evaluates the prominent role that new media has come to play in artistic practices – and social movements – in the Arab world today. Analysing alternative forms of creating, broadcasting, publishing, distributing and consuming digital images, this book also enquires into a broader global concern: does new media offer a 'democratization' of – and a productive engagement with – visual culture, or merely capitalize upon the effect of immediacy at the expense of depth? Featuring full-colour artists' inserts, this is the first book to extensively explore the degree to which the grassroots popularity of Twitter and Facebook has been co-opted into mainstream media, institutional and curatorial characterisations of 'revolution' – and whether artists should be wary of perpetuating the rhetoric and spectacle surrounding political events. In the process, Uncommon Grounds reveals how contemporary art practices actively negotiate present-day notions of community-based activism, artistic agency and political engagement. Contributors to the volume include: Sarah Abu Abdallah, Roy Samaha, Sophia Al-Maria, Fayçal Baghriche, Franco 'Bifo' Berardi, Wafaa Bilal, Sheyma Buali, Maymanah Farhat, Ganzeer, Hans Haacke, Laura U. Marks, Dina Matar, Aleya Hamza, Edit Molnár, Timo Kaabi-Linke, Jens Maier-Rothe, Dina Kafafi, Azin Feizabadi, Amal Khalaf, Omar Kholeif, Tarek Khoury, Gulf Labor, Mosireen, Rabih Mroué, Nat Muller, Philip Rizk, Nermin Saybaşılı, Annabelle Sreberny, Tarzan and Arab, Derya Yücel, and Maxa Zoller.